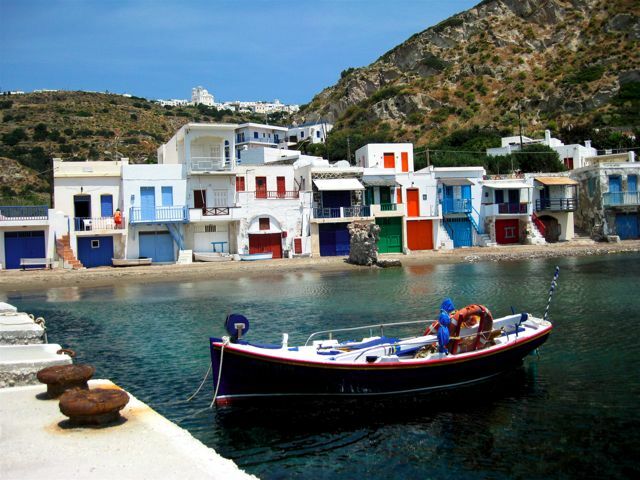 Milos Island, Cyclades – home of Venus de Milo (the French nicked it!) – she once adorned a now ruined temple on the hill above this fishing village. They are still looking for her missing arms! Fancy a dip? 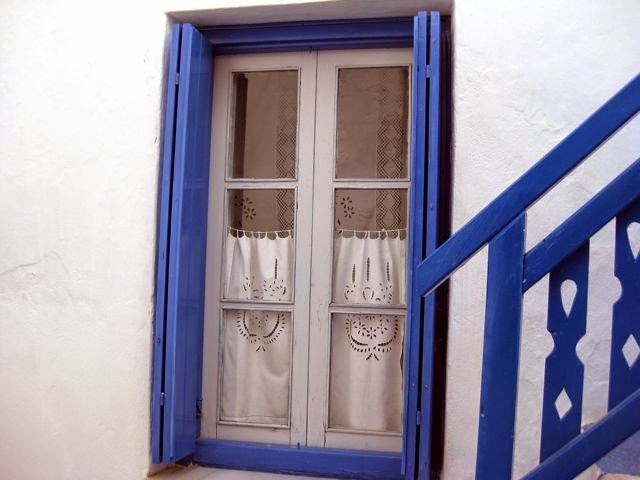 Just before the outbreak of the Second World War the author Henry Miller went, for the first time, to Greece to visit his friend Lawrence Durrell and stayed for nine months traveling from Athens, around the Peloponnese and to Crete. 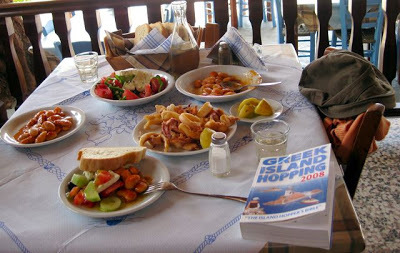 His experiences are recorded in one of the best travel books you will ever read, The Colossus of Maroussi. 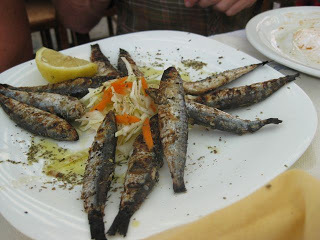 Gigantes Plaki became one of our favourite dishes – it is a regular on most menus all over Greece. The trouble was it took us a while to actually try it as it is often translated on the menu as BIG BEAN SALAD which, I think you will agree, sounds pretty unappealing. Then you notice the next table having this fantastic looking rustic dish of casseroled butter beans bathed in a rich tomato sauce. When you enquire from the waiter what it is and he tells you BIG BEAN SALAD you realize you are going to have to learn some Greek to find your way around this fantastic cuisine. 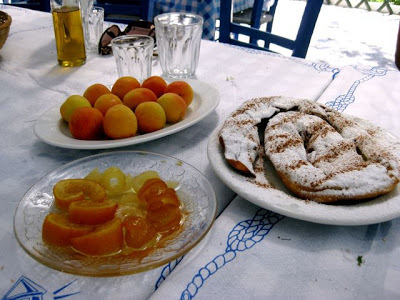 Why do I love Greek food? It’s fresh, seasonal, healthy and flavoursome – honouring place, history and the people who grow it and cook it. Simple dishes – like freshly caught sardines with lemon and REAL Greek salad to more complex slow cooked game, fish or lamb – humming with garlic, juniper berries, herbs and wine in a dish they call Stifado. the bread, the TASTE of the tomatoes, sun kissed apricots, peaches and figs, local olives, manouri cheese, wild greens, rose petal jam………………!! 500gm lima/butter beans, soaked overnight and cooked until tender (you can used canned). NOTE: Don’t add salt when you are cooking the beans from scratch – it makes them tough – add it afterwards. 1. Heat oil in ovenproof casserole. 2. Add onions and saute for 5 mins. 3. Add celery, carrots, garlic and saute until soft. 4. Add tomatoes, bay leaves, thyme and salt and pepper and cook for one hour. 5. Remove bay leaves and thyme and stick blend until pureed into a thick sauce. 6. Add cooked beans, brown sugar and balsamic and bunch of chopped dill (this is secret ingredient!) and cook in moderate oven, about 180C (with the lid on) for a further 1 hour. Serve drizzled with olive oil and extra fresh dill or fennel. 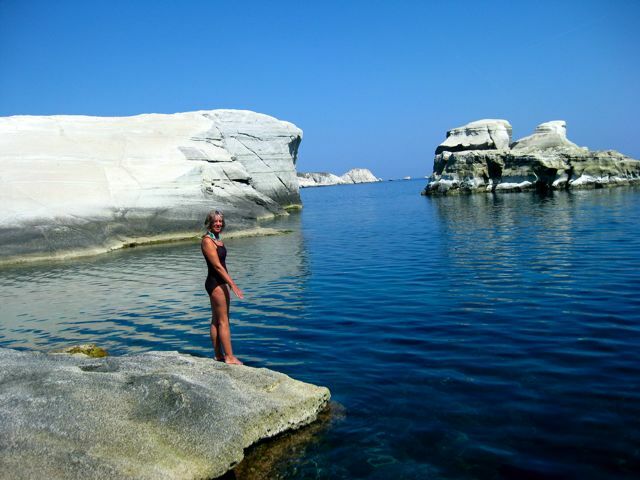 Milos – the best swimming in the world! TIP: This dish is often served with the top a bit crusty – yum – to get this authentic look just remove the lid of the casserole 15 mins before cooked. TIP TOO: This makes a large amount and I freeze batches of it until I need it. It’s fantastic with eggs for breakfast, lamb dishes, seafood on the barebecue and grilled chicken (Geek style of course!!). “It is not an exaggeration to say that peace and happiness begin, geographically, where garlic is used in cooking” X. Marcel Boulestin 1878-1943, French chef and restaurateur – the first television chef. 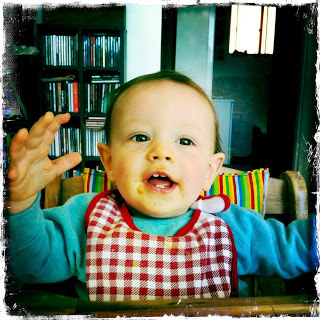 Taj – 9 months – enjoying his gigantes. This is a great dish to give to children being a good source of vegetable protein – along with all other legumes like peas, beans and lentils. Dear Fran, the Greeks certainly do cook up fresh green beans with tomato – this is a dish called FASOLAKIA – slow cooked until really soft and often served with crumbled feta on top – it's really yummy. 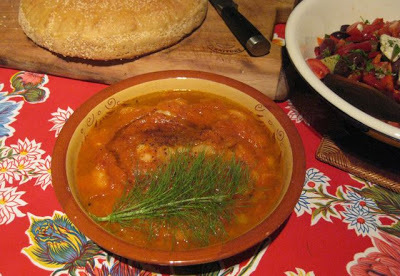 However, GIGANTES is a different dish always made with dried butter beans or fava beans and cooked for much longer. FASOLAKIA is made with onion cooked in olive oil, chopped fresh tomato, parsley (or dill) and fresh green beans – the Greeks usually use a flat or runner bean. Enjoy! I read elsewhere that the gigantic Greek bean is more like a runner than any other bean. I'm about to try a few overgrown beans and see if it cooks more like the Greek than tinned Lima or butter beans.